Temple of Great Awakening (Dajue Temple) is located on the southern slope of Yangtao Mountain in the western suburb of Beijing. Famed for its clear springs, ancient trees and magnificent beauty, the temple sees a lot of travellers and tourists all year round. The construction of the temple started in 1068 in the Liao Dynasty (916-1125) and was given the name Clear water temple in the beginning. The temple covers an area of 6000 square metres. Also, visit the popular attractions in the city by following Beijing itinerary 7 days. On Wednesdays, the first 200 visitors can visit the temple for free. Take a bus from Daigakuji. How popular is Dajue Temple? 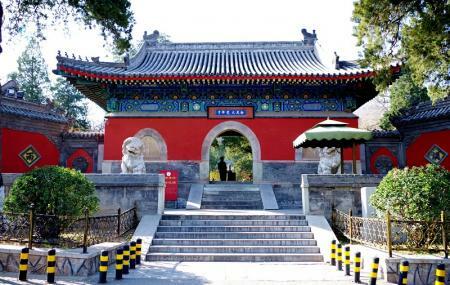 People normally also visit Western Qing Tombs while planning their trip to Dajue Temple.